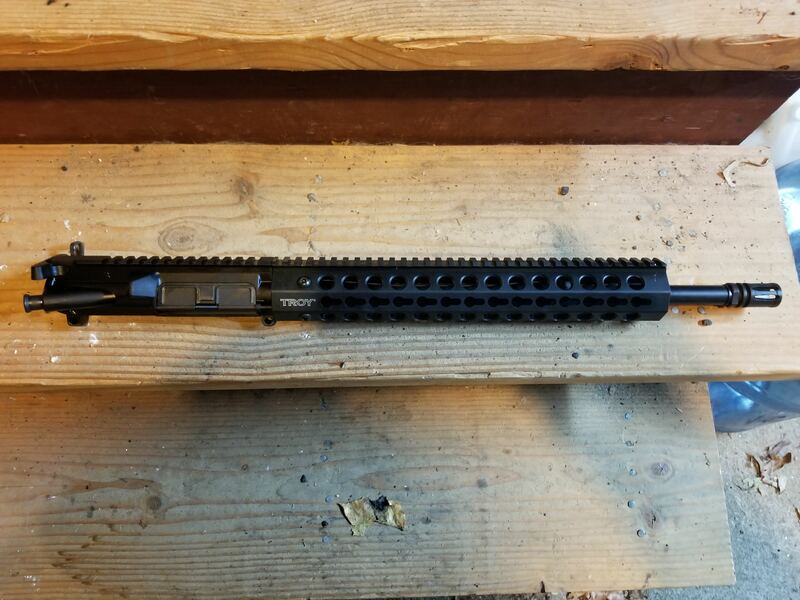 troy ar15 factory upper in 556. 16" troy barrel marked 1:7, a2 flash hider, troy lo profile gas block and gas tube, troy 13" keymod rail. I own the same upper in MLOK and have no complaints.